IMM Quality Boat Lifts manufactures the world’s best PWC | jetski lifts. 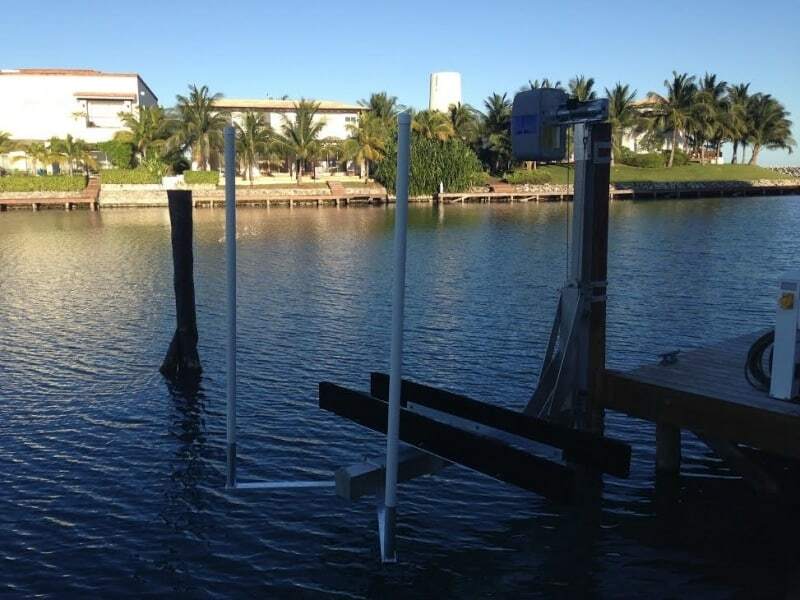 Available with mounts for seawall, dock and piling installations. 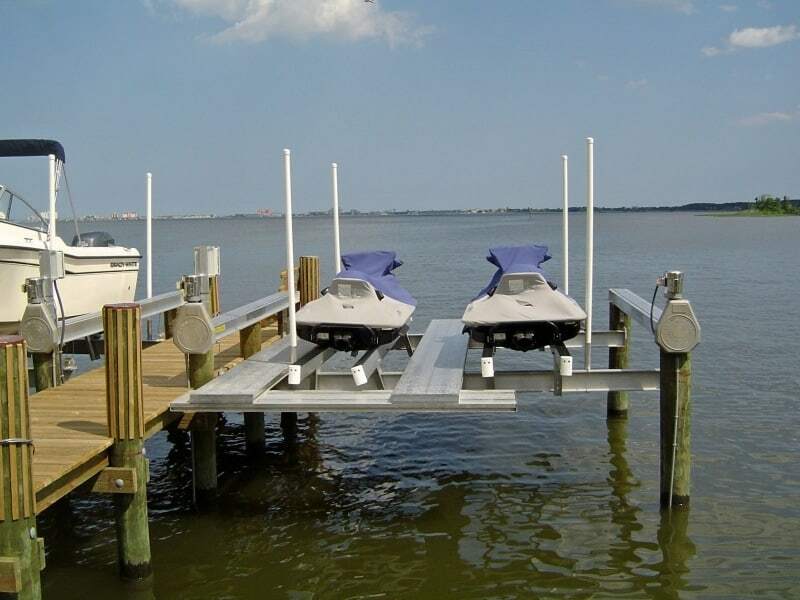 The PWC 1,500 swivel lift rotates 180 degrees over your dock or seawall for storage and is an ideal product for a single jet ski. Our PWC 3,000 lift can handle everything from jet skis and small jet boats to small skiffs. 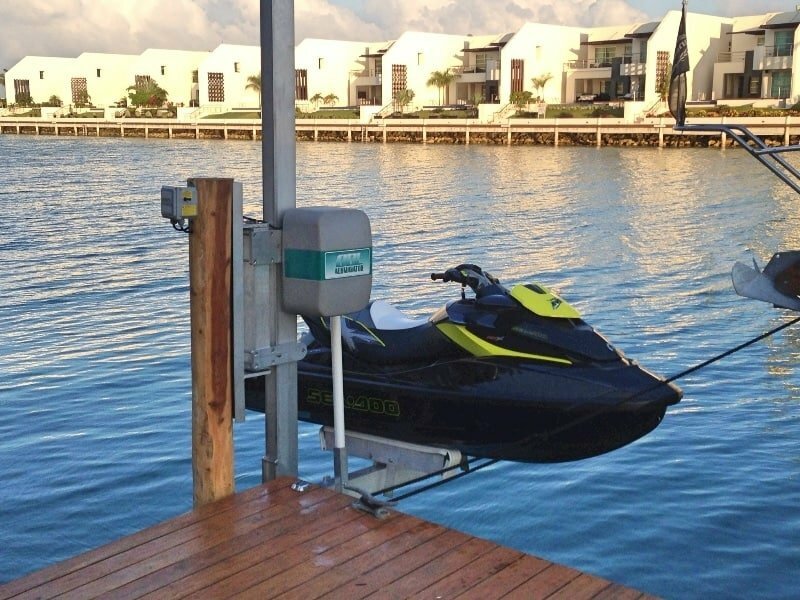 The 4,500 Dual PWC lift is a traditional elevator lift fitted with dual bunking and guide system to mount a pair of jet skis. This lift includes an 8 foot long walk plank for easy access to either craft. The 4,500 Dual PWC and PWC 3,000 lifts are available in both vertical and incline models, as well as, full I-beam tracks or split I-beam tracks which is recommended in areas where higher levels of electrolysis are present. To read further about our PWC Lifts, click on the labeled navigation tabs in the drop down menus above or on the images below. Over 30 years experience and knowledge of marine manufacturing, technological innovation, and boat lift design. We are dedicated to providing the best Boat Lifts in the world to our valued customers.